Anyone not sleep-walking through life is aware that Planet Earth is metamorphosing into a world never seen by humanity before. Rapid urbanization, consequent deforestation and habitat destruction, invading animals and plants, epic levels of environmental pollution – all are driven largely by human population growth that most experts believe is already well beyond sustainable levels. These enormous problems cannot be solved by legions of gardeners, but we can alleviate some of the burden, rather than add to it. To do so requires a radical shift in the thought processes of most gardeners, but I believe that shift is critical to the preservation of what is left of the blue-green orb we call Mother Earth. Alabama Azalea in full bloom in my native woodland north slope landscape. Today as we residents of the United States celebrate the birth of our nation and its continued progress into a new century, I’m asking that its gardeners participate in a revolution of their own. I’m asking that we embrace a nation-wide paradigm shift for our yards and gardens that celebrates our American landscape, instead of attempting to force it to look like something it never was and never should be. This post today was prompted by an article in the latest edition of a gardening magazine local to my region. The article was written by an acquaintance of mine – a woman who lived most of her life in New York, but retired to my area, embracing gardening so enthusiastically that she became a master gardener via North Carolina’s Agricultural Extension Service. She loves her garden, and I am delighted by her enthusiasm, but I am dismayed by the opinions she presents in this article. About 40 feet tall, this native Dogwood is at least 50 years old, maybe even older. 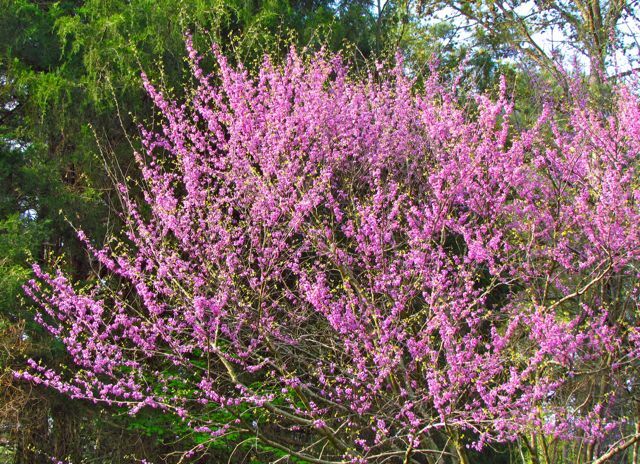 The author argues that native plants aren’t necessarily better than non-native plants. Her point appears to be that some native plants are challenging to deal with, just as some non-natives are, and that we should make our landscaping choices based on what she calls “desirable” plants. In her view, it appears that desirable plants are those that don’t create work for her. In her ideal garden, she would banish Tulip Poplar trees because they produce many seeds. She would eliminate all Sweet Gums because the seed balls sully her landscape; she asserts that dogs eat the balls and get sick. 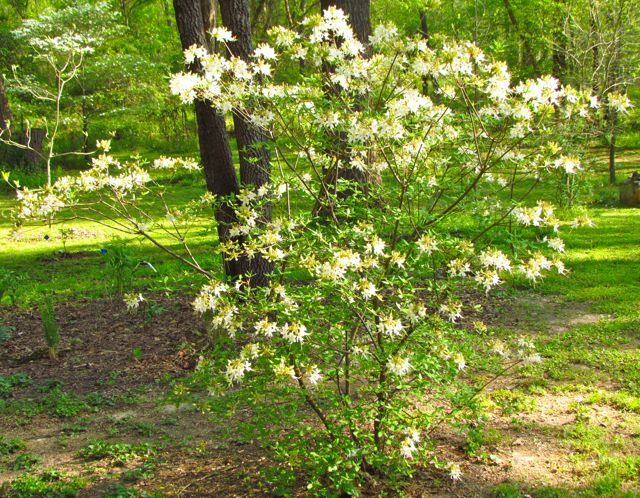 She would also banish our native Dogwoods in favor of more disease-resistant Asian ones, eradicate Redbuds because they produce too many seeds, and she considers Virginia Creeper to be almost as annoying as Poison Ivy. Of course, the author is entitled to her opinion, but her article will be read by many and assumed to be authoritative. With respect, I must disagree with her assertions and conclusions. The same Dogwood as above displaying its autumn colors. Her article reflects an approach to American gardening that our planet can no longer sustain. If gardeners and homeowners continue to make plant choices based on convenience rather than ecological integrity, by the time their grandchildren are adults, healthy native ecosystems in our country will be relegated to a few carefully defended preserves. 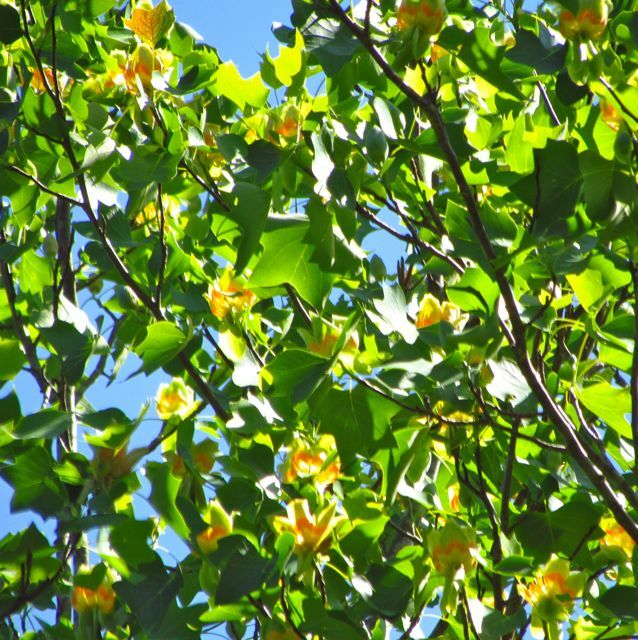 Tulip Poplar flowers humming with pollinators adorn this towering canopy specimen every spring. To avoid an epic loss of species that may result in a breakdown of ecological processes that could affect everything from water quality to weather patterns to nutrient cycling, gardeners and landscapers in the United States must embrace a new American gardening paradigm, one that makes the ecological context of a property the guiding principal for all design choices. 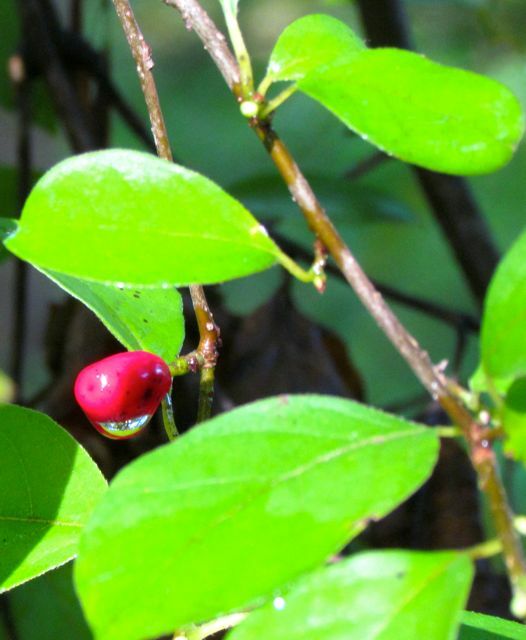 Native dogwoods provide fruits beloved by many species of wildlife. The decomposition of its leaves back into forest soils is critical to cycling calcium through the forest ecosystem. The great thing about the United States is that our country is enormous. If you want to embrace the stark beauty of a desert landscape, you can live in the American Southwest. If you like open vistas with lots of sky, our central prairies were made for your home prairie grass-and-wildflower landscapes. And if you live on our east coast, your choices should be based on the forest ecosystems that evolved on this land over many hundreds of thousands of years. Forests always have openings, so your landscape can have sun-filled spots, if that is your preference. But fundamentally, for the sake of all the species that evolved together over great expanses of time, you must respect the plants that were here before you were. The native swamp plants in my landscape provide critical habitat for at least 7 species of frogs and 2 species of salamanders, not to mention crayfish, and a diverse array of native birds that hunt some of those species. In the southeastern US Piedmont region where I garden, our forest habitats comprise myriad unique ecosystems adapted to the subtleties of our terrain. North slope-facing forests differ from dry hilltops; floodplain forests differ from swamp forests, which differ from remnant Piedmont prairies. As American gardeners in the 21st century, our goal should be to recognize the native attributes of our landscape, then work to enhance them. I added a couple of native spicebushes to my landscape early on. Now the birds have spread them all over, enriching their habitats and ensuring spectacular golden fall color throughout the understory in my yard. Rather than replacing natives we don’t like, we should supplement what is already present to enrich the landscape for wildlife while simultaneously creating a more beautiful and sustainable home oasis. Instead of attempting to impose your will on your landscape, embrace your environmental context and creatively adapt to it. Your plants will be beautiful and healthy, and your workload will be vastly lighter. In my area, pollinators are a topic of growing concern. At the NC Botanical Garden in Chapel Hill, for example, many exhibits and presentations on native pollinators and non-native honeybees are available to the public throughout the summer. 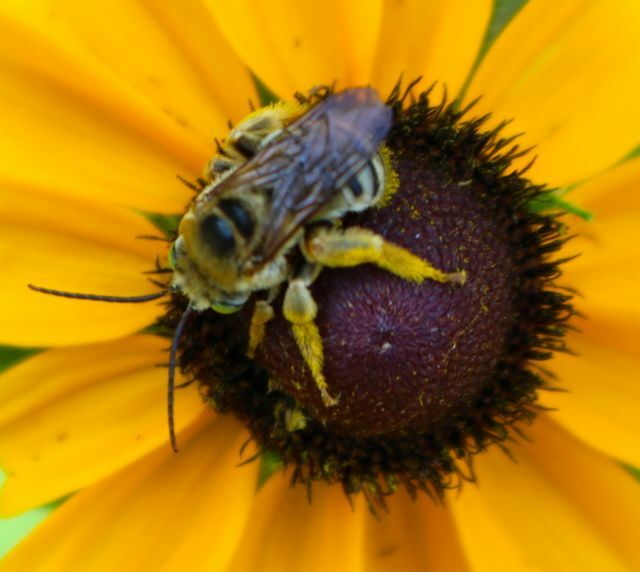 Pollinator populations are declining alarmingly in many areas. Numerous explanations for their disappearance are being offered. But one thing we know for sure: native pollinators that visit our crops and flowers evolved to exploit native plants. If the native plants are unavailable, the native pollinators have no incentive to stick around. 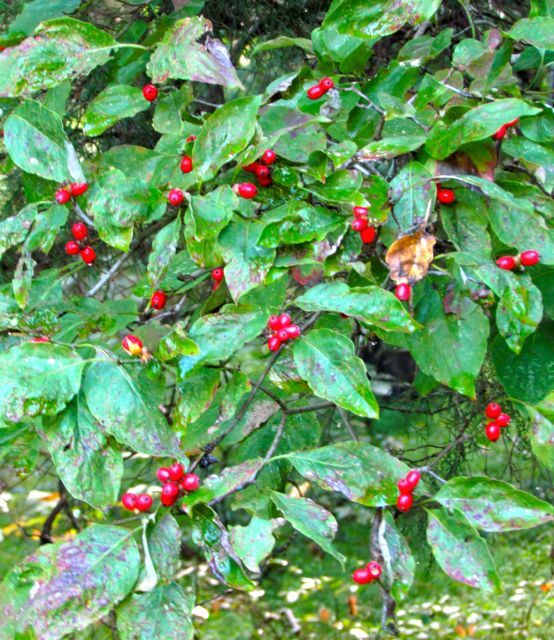 Native food for hungry natives: Sweet Gum trees are not your enemy. 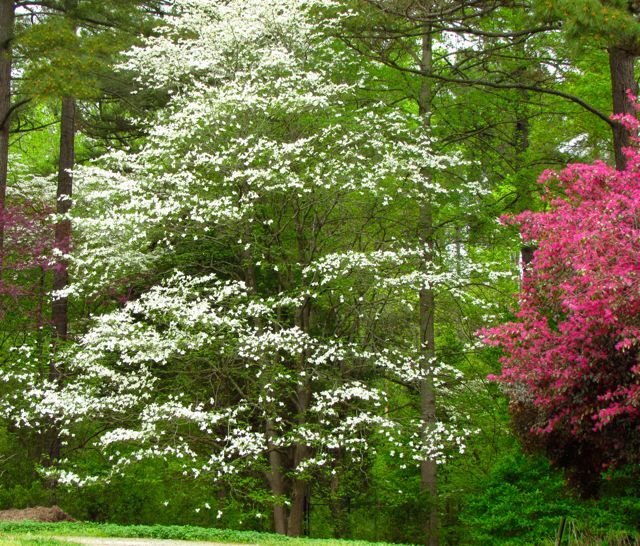 The Tulip Poplars, native Dogwoods, Redbuds, and yes, Virginia Creeper and Poison Ivy that the author of that article advises we eliminate from our landscape all provide food for native pollinators. Tulip Poplar honey from non-native honeybees is considered to be excellent by many. 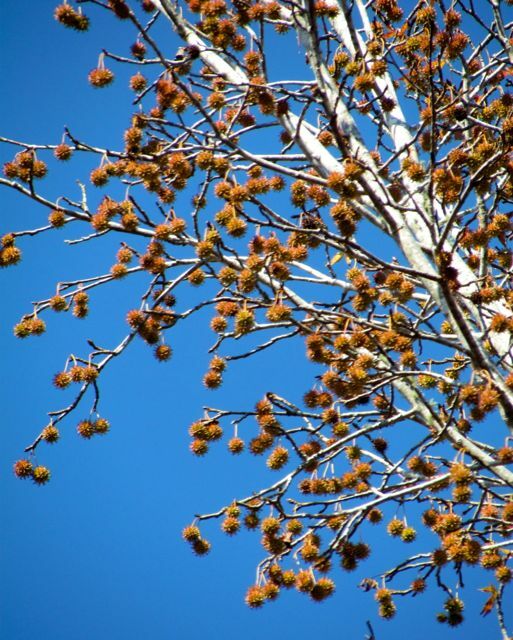 The seeds of those plants – and the Sweet Gum balls – provide essential food for many native bird species and other animals. Invasive, non-native Japanese Stiltgrass is a vastly greater threat to the health of my landscape than a few stray native tree seedlings. I tend five acres populated by large native canopy trees that include the species the author dismisses as unworthy. Abundant, diverse wildlife devours most of their seeds. Yes, I see some seedlings, but they don’t present a great nuisance. I spend far more time battling Japanese Stiltgrass and other non-native invasive species than I ever spend on pulling seedling trees. Frankly, I rejoice in the abundant seed production. It’s a sign that my land is healthy, fertile, and full of life. 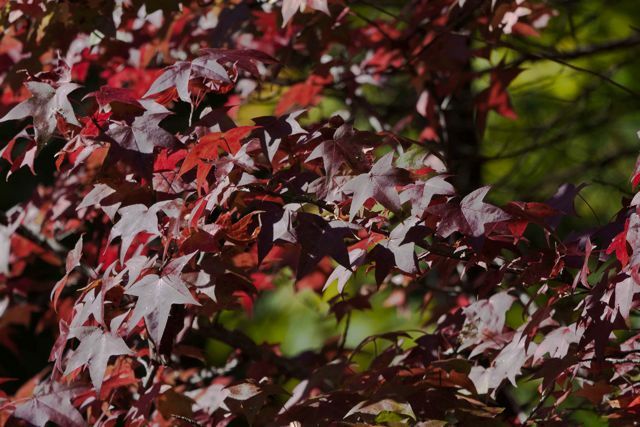 The author of the article concedes that the fall color of Sweet Gums is spectacular, but she doesn’t understand that this is just an aesthetic bonus for humans to enjoy as the trees carry out their important roles in our native ecosystems. There isn’t enough money in the world to persuade me to cut down the massive Sweet Gum beside my creek that draws large flocks of Cedar Waxwings and other birds all fall and winter. Their antics as they extract seeds from the dangling balls are entertaining to watch – and encouraging, because I know these birds can use my yard as a food source, and a haven from an increasingly hostile, unfamiliar landscape. And, for the record, I searched online for instances of dogs being harmed by ingesting Sweet Gum balls, and I couldn’t find any. My dogs had free reign over my seed-ball-laden landscape for decades without ever even seeming to notice them, much less eat them. This intimidating Poison Ivy vine climbs a tree on my floodplain, where I am unlikely to bump into it. Gardening means getting your hands dirty. Yes, seedlings happen. Bird-planted Poison Ivy pops up all over my yard. My policy is to eliminate it from my few formal beds, my vegetable garden, and any areas where people are likely to brush up against it. Otherwise, I leave it alone. There’s no way I’d ever eradicate all Poison Ivy from my five acres, and there’s no reason to even try. As for Virginia Creeper, I think it’s lovely. Like Poison Ivy, if it’s not in my way, I leave it alone. If you’ve ever watched a flock of Northern Cardinals tear into the seedpods of our native Redbuds, you would forgive a few “undesirable” seedlings in your landscape each spring. As we move more deeply into this new century, many of our old ways of doing things are no longer adaptive; many are downright destructive. Those of us who love the natural world, who delight in digging good earth, harvesting food we grow with our own hands, and beautifying our landscapes with fragrant and colorful flowers will be essential in leading the way to a new paradigm for American gardens. There’s no way it would be spring in my landscape without this color show from our native Redbuds. I hope you will join me in understanding and partnering with our uniquely American native landscapes. It is time to cast aside the formal lawns and hedges of our European ancestors. This is the United States of America. It should be filled with American gardens that reflect and celebrate the native plants and animals that make our country special. 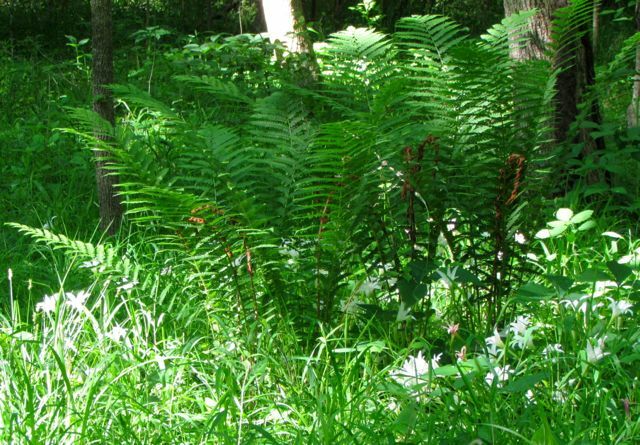 By definition, that makes all our native plants desirable, because they evolved here, and are deeply integrated into the complex dance of living organisms that provide fertile soil and clean air and water. Happy Birthday, USA. Long may our people – and our native landscapes – prosper. The author of the article to which I refer above responded with a lengthy comment. I think the easiest way to respond is to add her comments — and my responses — here. First, to answer a query made by this author, I have my blog set up so that I review all comments before they are published. This is the only way to ensure that spammers don’t get through. WordPress has an excellent spam filter, but it is not perfect. Second, I didn’t respond instantly, because yesterday was a national holiday and I was out enjoying it, rather than checking my computer. Now let me sincerely apologize to the author for misremembering where she lived before moving to NC. She reminded me — twice — that she lived in Washington, DC, not NYC. She seems to think I was implying that I am prejudiced against folks from New York. I’m not. But many of the transplants who retire to my area are from New York, and I forget sometimes that not all of them are. It was a genuinely honest mistake on my part, and again, I apologize. I think you have misinterpreted my article. I am not against tulip poplars, poison ivy, Virginia creeper, and sweet gums in the landscape but I will continue to argue that these are undesirable plants and trees in our gardens. OK, I think you are saying that these plants are fine in so-called natural areas, parks, etc., but that no one should desire them in their yards, because of the issues you mentioned — seediness, allergies, diseases. That’s what I thought you meant, and that’s what I disagree with. I could never recommend to anyone that they should plant a sweet gum in their garden as the drawbacks are too many: I have had several friends who have had to rush their dogs to the emergency vet because their family pets ate them and they are extremely messy in a one acre garden. As Michelle Wallace, the Durham Extension Agent told me, they simply don’t belong in the urban or suburban landscape. And again, I disagree. First, I am horrified to learn that family pets are eating Sweet Gum seed balls. However, I’ve lived here for almost six decades now, and I’ve never heard of this until you mentioned it. I’d need a lot more data documenting your assertion before I’d join you in dissuading folks from adding these trees to their home landscapes. With respect to extension agents, they are espousing — as I think you are — a 20th-century view of American yards and gardens. This perspective ignores the environmental context of the landscape, the fact that “natural areas” are disappearing entirely in increasingly urbanized landscapes, and the increasingly evident negative impacts such views are having on native populations of plants and animals. I would argue that the tulip poplar is another one that doesn’t belong in the urban or suburban landscape because it is extraordinarily seedy, a quality that if exhibited in an exotic would deem that exotic as invasive. Again, your perspective seems to imply a “man-versus-nature” attitude, wherein anything in nature that annoys humans should be eliminated. My post above was my assertion that this attitude is not appropriate for the realities of the 21st century. I asserted that our yards and gardens must change, must be integrated into the environment, if we have any hope of preserving species diversity, clean water and air, etc. As for poison ivy, I don’t want to live with it. It’s that simple. Birds love it but I am highly allergic to it and I have a son who has to get a cortisone shot if he even looks at it. It isn’t simply an “inconvenient” plant but can affect our health. As for Virginia creeper, I really see very little difference between it and English ivy, a plant I think is dangerous and invasive. I’m allergic to poison ivy too. That’s why I eliminate it from areas where I’m likely to bump into it. But it’s never going to disappear from any landscape unless you’re planning to kill every seed-eating bird that lands on your property. And it dismays me that you cannot perceive the difference between English ivy and Virginia Creeper. I know you know that English ivy is a non-native invasive plant, because I remember when you read the paper I wrote about invasive species when we were both in the master of liberal studies program at Duke. I was delighted when, after you read that paper, you decided to eliminate English ivy from your home landscape. I am thus surprised that you can’t see how Virginia Creeper — a native vine — is different. First, it’s not evergreen, so even when it climbs into trees, its additional biomass doesn’t add dangerous weight to the trees, as does English ivy. Likewise, because Virginia Creeper is deciduous, winter ice doesn’t accumulate on it — as happens with evergreen English ivy — so trees aren’t likely to topple from the weight of extra ice. I’ve lived here nearly six decades. I’ve never seen Virginia Creeper overwhelm a tree or shrub the way English ivy does. Ecologically speaking, Virginia Creeper is not invasive in the Piedmont region of North Carolina. I am perplexed that you deem it to be equivalent to English ivy. You have the luxury of having five acres but most of us have much smaller gardens and have to be selective in what we plant. I love roses, am concentrating on growing sustainable roses. I see no reason to limit myself to native American species roses. I don’t spray my roses and do not grow hybrid teas but I see no reason to deprive myself of growing Rosa bhaksiae, a species rose that is native to China. I also love the China tea roses and have them in my garden where they mind their business. I grow non-invasive non-native plants too. I would never tell anyone to eschew a plant simply because it’s not native. And I don’t think my post above implies otherwise. Again, your use of the word “selective” I believe harkens back to my point about 20th-century thinking. My post advocated a new gardening/landscaping paradigm for this new century — one that acknowledges the increasingly tenuous health of remaining native ecosystems world-wide. One that suggests that home gardens and landscapes can respond to this situation by helping save what is left, rather than actively choosing to eliminate it. As for “native” plants, I tend to agree with Tony Avent who argues that it can be very hard to determine what is a native plant. Should we stop growing okra because it originated in Africa? Okra has a long cultural history in this country and is part of the Louisiana cuisine. I do think we have to be very careful in selecting the plants that go into our garden but I am not going to limit myself to “native” plants. I love redbuds but I also love my Cornus kousa and as a Master Gardener I would never recommend our Cornus florida because it is so susceptible to anthracnose. I would recommend the Rutgers cultivars but they are stronger because they contain genetic material from C. kousa–so I would argue that perhaps they were not “native.” If you note, much of my argument was that it is extremely difficult to determine what is a “native” plant. 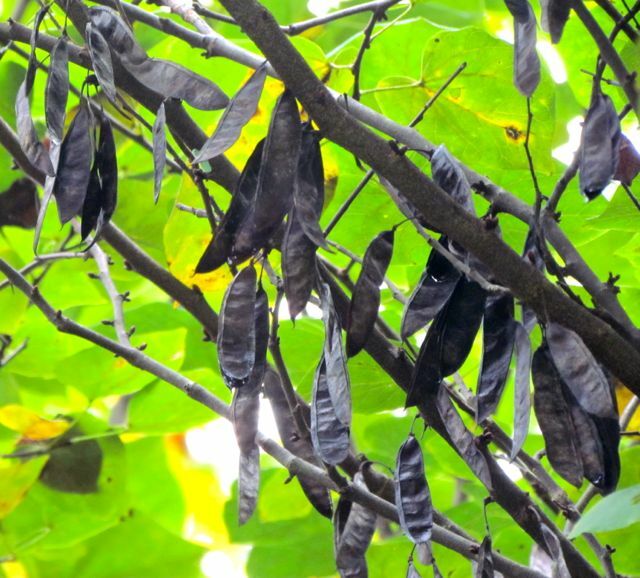 Some would argue that growing Magnolia grandiflora in the Piedmont is favoring an exotic because it is native to just one small area in eastern North Carolina. Yes, Tony Avent pulls out that argument about one’s inability to define natives frequently. When I interviewed him for that paper I mentioned on invasive plants, he argued that in Earth’s past, all land was one supercontinent — Pangea — so all plants were all part of the same land mass, and therefore all native. I feel confident that any ecologist on earth would find this notion absurd. Using the most conservative estimate I can find, Pangea broke apart into the ocean-separated continents we know today about 174 million years ago. Yes, it is true that you can find members of the same genus that are native to Asia and to North America. But they are different species; they evolved in association with many other species in unique ecosystems that are not the same on the two continents. 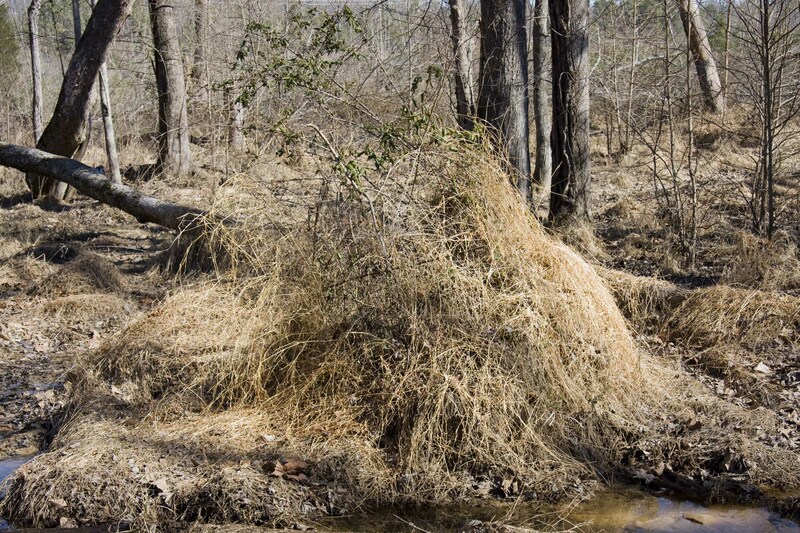 That’s why many of our most invasive plants are native to Asia. They are adapted to our growing conditions, but because they evolved on another continent, the animals/diseases/plants they evolved with are not present here, so there is nothing to hold them in check. Hence, their invasive status here. And, of course, plants long cultivated for food, medicine, materials, etc. will continue to be grown wherever they are needed, regardless of their distant original native contexts. The challenge, I believe, in growing agricultural crops in the 21st century, is to find ways to integrate them into the landscape as much as possible, minimizing the use of chemicals and genetically modified materials that have been shown to damage adjacent native ecosystems. The point I attempted to make in my post is that we can no longer afford to make gardening/landscaping choices without considering the ecological integrity of the land. If you eradicate all Tulip Poplars and Sweet Gums from suburban and urban areas, all the insects, birds, etc. that rely on those species have nowhere to go. If you haven’t read Dr. Tallamy’s book that I reference at the end of my post, I encourage you to do so. He delineates these issues in great detail. Thus, the argument is not about how one defines a native plant. The argument is about whether a given plant will be recognized and function as a viable member of the ecological community you create in your home landscape. If nothing eats it, it is occupying space that an ecologically integrated plant — one that serves more than an aesthetic function in your landscape — could take. Honey bees are not native to the US but I don’t think there are people calling for the US to rid itself of honey bees. Exotic species, like the honey bees, can have a positive effect on our local environment. Again, I don’t recall advocating for the eradication of honey bees. I did advocate for not eradicating native species because they are deemed “undesirable” by 20th-century gardening standards that I believe are a threat to the future of the health of our planet. In this new century, I think we must revise our thinking, recognize that in a world of rapidly dwindling healthy ecosystems, every back yard — no matter how small — can be part of the problem, or part of the solution. Every back yard, every garden can contribute to the health of our planet by better integrating into its native environmental context. Yes, we will always grow our favorite non-native plants. But I respectfully ask that you please reconsider advocating the elimination of native species because you find them inconvenient. I’m sorry that you found my article so offensive but I do think there is more than one side to this argument. 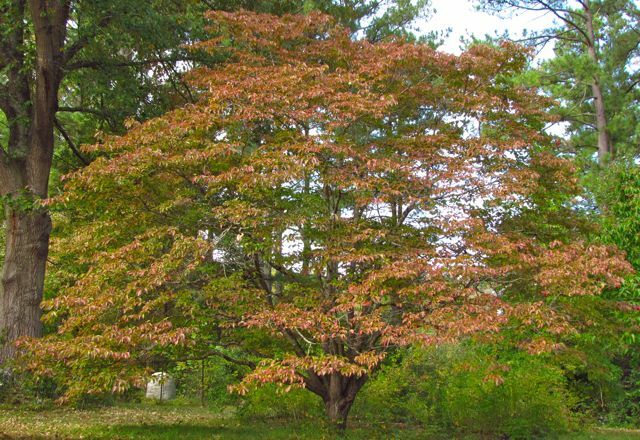 I stand by what I said: I would like the dialogue to be more about desirable and undesirable plants–and the sweet gum is a highly undesirable tree in the urban and suburban landscape. Your article did not offend me; it disheartened me, because it reflects an attitude that I believe is a direct threat to the future health of the native ecosystems remaining on our planet. That’s why I felt compelled to suggest a different approach. I know it’s a big leap for many traditional gardeners and landscapers. However, I believe this shift in thinking from defining plant choices by their desirability to choosing plants that are well-integrated into the environmental context of the landscape is our best chance for preserving water and air quality by maintaining the viability of native ecosystems. And, again everyone, she’s from DC, not New York. My apologies again for misremembering.